Provost Willem is a non-player character in Bloodborne. Provost Willem is the head of Byrgenwerth, an academic institute from which the Healing Church originated. He and others scholars discovered a holy medium, deep within the tomb of the gods. Willem's aim is to advance the evolution of humankind and achieve higher planes of thought. Despite Willem's central role in the foundation of the Healing Church and particularly the Choir, their paths ultimately diverged and Byrgenwerth was abandoned by all but a few loyal scholars. Now, at the end of his days and barely even able to speak, he can only sit in his favorite chair and await the arrival of one who can unlock the lake's secret. "Talk" to him to gain 2 Insight. You cannot speak with Provost Willem, he simply points to the lake. Drops 2545 Blood Echoes and Eye Rune if killed, or a Madman's Knowledge if you already have the Rune. 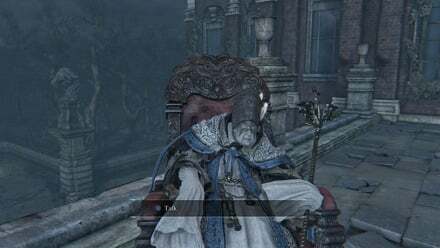 This character can be found at Byrgenwerth College, in a rocking chair at the Lunarium. Provost Willem seems to be incapable of speech by the time the player meets him, only pointing the way towards Rom, the Vacuous Spider, and sighing if the player attempts to talk to him. Master Willem: “...We are born of the blood, made men by the blood, undone by the blood. Our eyes are yet to open..."
Master Willem & Laurence: "Fear the old blood." Master Willem: “By the gods, fear it, Laurence." Master Willem's most important teaching is the adage "Fear the Old Blood". He encourages all the scholars of his college to seek enlightenment and ascension through other methods except using the Old Blood. Laurence wanted to use The Old Blood, which he believed to be key to mankind's ascension. Master Willem felt betrayed since Laurence didn't follow the "Fear the Old Blood" adage. Laurence later founded the Healing Church and made blood ministration/blood healing the cornerstone of the church. According to the Graveguard Set, Provost Willem kept two loyal servants at Bygenwerth. One of them is Dores, who became the graveguard of the forest. The other servant became the password gatekeeper that guards the gate in cathedral ward which leads to the forbidden forest. Master Willem's teachings in the College of Byrgenwerth eventually branched out and inspired the development of many organizations, such as The Healing Church, The Choir and The School of Mensis. From the description of the Blindfold Cap, elite members of the healing church, the choir, payed homage to Master Willem's teachings by wearing this cap. According to the Student Set, the healing church borrows heavily its design. At this moment, this NPC does not seem to play any significant role beyond dropping Blood Echoes and the Eye Rune if killed. When attacked he bleeds "shimmering blood", a blood type also found in to Rom, The Vacuous Spider. He has stalks growing out of the flesh on his back. The growths and the flesh can be mistaken for candles and molten wax. The growths have a luminous, plantlike quality and they may be a variant of the plants growing out of Rom's back. If he is talked to after the above is done he will no longer point towards Rom, The Vacuous Spider. The growths that appear on his back are similar to that of cordyceps fungi, a type of fungus that can affect the brain of its host insects. Also these growths are similar to - and may be a primitive form of - what Ebrietas, Daughter of the Cosmos grows on her head. If you kill him, he seems to be aggressively cursing someone or something, without saying a word, of course. In older versions of the game, Charged attacking Willem’s back with the Ludwig Holy Blade will literally get him to T-Pose. Does anyone else find it a bit odd Willem, the head of Byrgenwerth institution, drops Madman&apos;s Knowledge opposed to Great One&apos;s Wisdom? If you hurt him but don&apos;t kill him, or say, throw a pebble at him, it sounds like he&apos;s chuckling. Honest truth: I think Willem should have been a boss fight. Imagine what sweet tricks that chair can do. The growths on his back look more like tube worms or coral to me. These are found on Ebrietas, but also on the villagers in the Fishing Hamlet. The Fishing Hamlet and Byrgenwerth have a deep connection as suggested by the Befuddled Villager. The two locations have numerous other visual similarities, especially the Amygdala-like statues, and the presence of large bodies of water. I fell down the lore rabbit hole when I was looking at the closeup picture of the "fungus" growing from his neck. And recognized the plant which adorns the top of his staff. After doing the research i discovered why, as snow berry bushes grew all over the place where i grew up. Interestingly enough these berries are white, have white seeds and were used for treating wounds, and menstruation (bleeding issues). 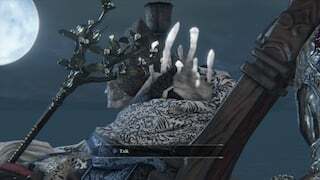 Then i got to thinking further, Wilhelm is white skinned, the berries are white skinned, rom is white, amygdallas are white,Kos and the Oprhan are white, the pthumerians are also depicted with white skin, it seems to me that the prevalence of the color, is possibly pointing to a connection between wilhelm/byrgenwerth and the ancient pthumerians that served the old ones. 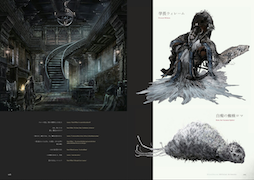 Byrgenwerth is built over the top of the part of the chalice dungeons as we know. I am unsure of exact conclusions as these things go with from games, but, i have to wonder if these correlations in color, as well as with other indicators like the snow berry like end of wilhelms staff if wilhelm/byrgenwerth either stumbled on knowledge that actually was leading to the true wisdom of the old ones, or if perhaps wilhelm himself is/was a descendant of them. We even know that the vilebloods are white skinned, and they stoled there blood. Perhaps the blood they stole was the "true", un tainted old blood, hence why they are hated. just some thoughts. So, in the end, the insight drove him so crazy he couldn&apos;t even communicate with normal human beings anymore. I wonder if he has some form of telepathy, since he seems to be half-evolved into an Old One himself. It&apos;s funny how, good, bad, helpful, dastardly, rich, poor, it doesn&apos;t matter: if you&apos;re an NPC in a Fromsoft game, the end of your storyline is probably going to be tragic, or you&apos;re going to die. Or both. 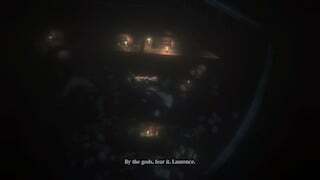 People still blame Laurence for the state of Yharnam, but I don&apos;t think Willem is any less guilty. Remember, it was Byrgenwerth that originally raided the Fishing Hamlet in search of eyes, and their actions might be the reason behind the death of Kos. Using human subjects in horrid experiments involving dangerous mediums and harvesting their eyeballs doesn&apos;t really scream humane. The curiosity nurtured in Byrgenwerth is essentially what spurred Laurence&apos;s obsession with blood, reducing the city to its deteriorated state. Like Gehrman, Willem remains in suspended animation, positively drowning in self-pity. Doesn&apos;t he say: Our eyes aren&apos;t yet to open. Is it worth keeping him alive? 2,500 blood echoes and the Caryll Rune titled Eye > More items from fallen enemies. This is the upgraded version of the original Eye. "Fear" can also be used to mean &apos;respect.&apos; He&apos;s not telling Laurence to fear some random blood, but to be respectful of it. Does he say anything after ROM? Like mp3 or stop all the downloaden? Someone else posted about this, but I&apos;m re-posting because nobody seems to be giving it much thought. What is going on with Willem&apos;s back? Look at the back of his neck; it looks like there are mushrooms sprouting out of him. Why? What sort of physical change could he be undergoing to cause him to be so pale and nasty? Maybe he&apos;s devolving into a slime creature like the rest of the people in the Lecture Building? Whatever it is, something is clearly very wrong with him. He is not an ordinary old man nor a beast. If he wasn&apos;t there how would you know where the boss is? The Beast skull of the church... Could it be... the rest of Laurence ?! Think about it : - First of all, Vicar Amelia said clearly "seek the old blood"... strangely the opposite of what Willem talked about in the flashback... flashback that we have by touching the skull ! And then, what happen ? Ka-bloo-hee ! She became a beast ! Coincidence ? mechanic of Gameplay ? Not sure... - Second point, Willem suspected that Laurence will betray him : he who, I must say it to make my point, made a connection with the old ones... He who was respected by all the Healing Church... and most important part : he who just snapped any form of communications with the Old Ones ! Why ? We don&apos;t know... but whatever it was, he never wanted to get F*kin&apos; closer of them, or even involved with them anymore... Besides : just look at him ! I think he paid a really hard and heavy price for his participation in the project of "making contact"... I even think his eyes are no more. And by this, I don&apos;t mean that he&apos;s blind : I mean that, at some point, his eyes have completely burned or even blew up ! All that from what he saw within the Old Ones... bloody hell ! After that, even I would fear the old blood ! (O m O" ) - Third and last, [ maybe I&apos;m a little crazy with this idea, but... give me a chance. ] Are these guys, these "church doctors" still, um... "human" ? I mean, I could understand why the villagers would hunt us : because they&apos;re driven crazy by the plague of lycanthropia ; because of blood or even because we&apos;re an outsider, but... why them ? We work on the same side ! We hunt beasts too ! We are lone wolves indeed, but we have got the same tactics : beat the s* out of the monsters ! So why ? And here&apos;s my completely crazy idea. Don&apos;t throw me heavy rocks on the face, please... ... ... unless they were driven crazy by insight ( because : beasthood turned us into furry ; insight seams to slowly turn people slendermen ) and kill everything without distinction... I would say that, at some point, a part of them was used / or were maybe conscient to hunt anyone... for their blood. And so, my conclusion about this possible lore : I think that a part of the Church was corrupted by the lust for blood, or power, or wisdom... like every men in the old city ! Which is maybe why there&apos;s such a strange relic in the church : the skull of the one, Laurence, who embraced the blood, and became a beast ( maybe was he the first one of the church ? Even before Ludwig ? ). This could explain a lot... in the end, there is no better words... man is a wolf to man. And you ? What do you think about it ? Just mentioning it since no one else seems to have, but he has a fungus-like growth on his back with glowing stalks. After killing him for the eye rune, I noticed that I could still talk to him (there was no body there so I was confused and attempted it) and there was some extra dialogue of "ah- ah." Or something extremely similar to that. It&apos;s very interesting that he was still able to communicate beyond death.